It jumped back up into the 80's this weekend, and I just had to bring summer back for one more day. 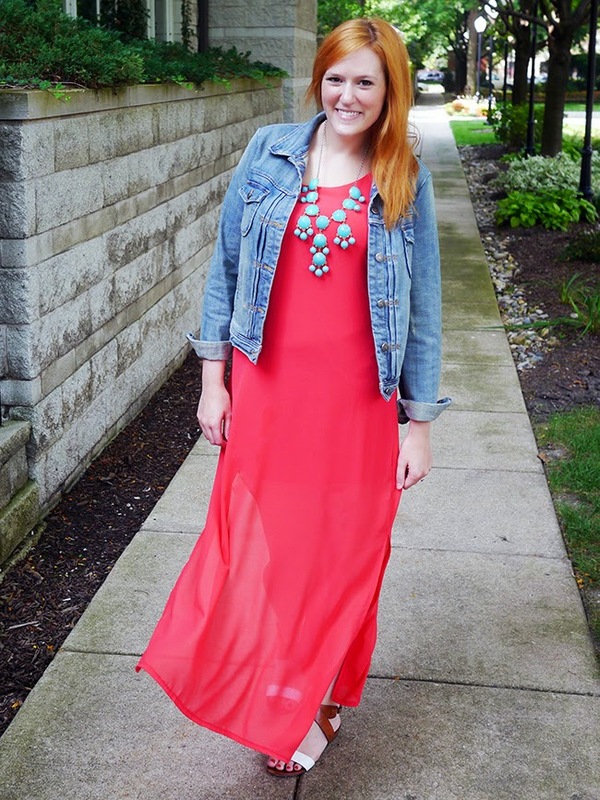 This maxi from Wal-G was the perfect choice. The cut isn't normally something I would go for, because, well, bra straps. I decided to try it anyway, and a day in a strapless bra was definitely worth it. 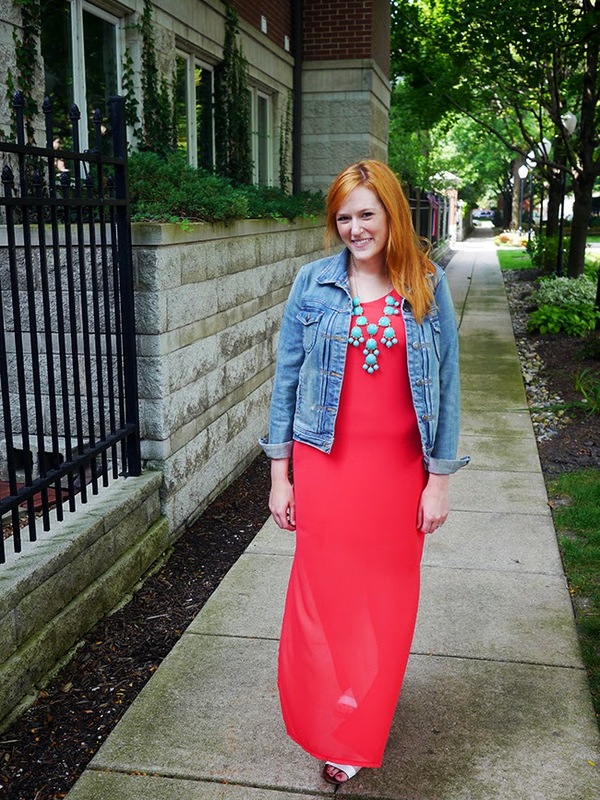 Linking up with Random Wednesday, Whatcha Wearing Wednesday, Style Sessions, Style Me Wednesday, Tuesday Pretties and Trend Spin Linkup. I like! I like! Color, cut, style! I like! Way to take advantage of these last few warm days! I love the mix of colors! This will be a great dress to wear next time it's warm again! So...... next July. OH HEY JACLYN THANKS GIRL!